Christmas lights are great for enhancing that festive feeling, aren’t they? The indoor lights on the tree, flickering away, making all the other decorations look that little bit brighter and the outdoor decorations, shining out like beacons in the darkness. I feel that Christmas is definitely on the way once we’ve seen the huge Christmas tree switched on in the village precinct. From then on, it’s a game on our journeys home where we play "spot the outdoor decorations", there are always a few houses en route that have great displays. 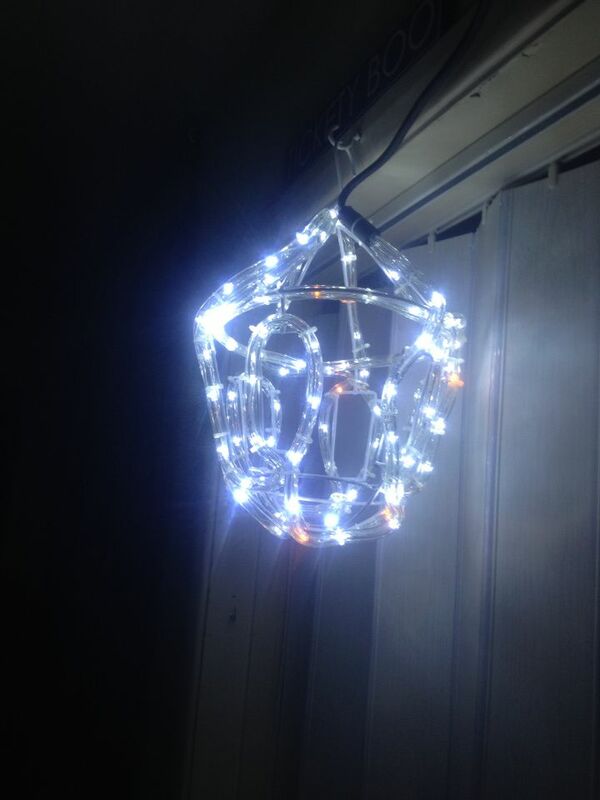 My house has quite a wide porch and I’d always wanted to get a couple of LED lanterns to put either side, me being me, would never get organised in time and they would always sell out. So, you can imagine my absolute delight when ukchristmasworld asked me if I’d like to choose and review something from their site. My fingers could not click fast enough! There is a fantastic choice on the website and some really unusual items too. I particularly liked the Mr Christmas range, including a stunning looking Ferris Wheel. Delivery was super fast by courier and the lantern didn’t disappoint. Here it is, illuminated in our hall. The lantern is for indoor or outdoor use and comes fitted with a hook for hanging and a nearly 10foot cable and plug. I like the flickering effect too and although I love seeing all the bright multi-coloured lights around and about, I prefer neutral, classical colours for our decorations. Why not have a look on the website at http://www.ukchristmasworld.com and see if there’s anything sparkly that catches your eye? Delivery is fast and free on purchases over Â£40. Disclaimer: we were sent a lantern for the purpose of this review. Our words and views are our own. homepage on 7th December 2013 at 8:22 am. veste parajumpers on 8th December 2013 at 12:12 pm. woolrich pels on 8th December 2013 at 3:21 pm.